• Diane H. Miliotes y Renato González Mello, eds., José Clemente Orozco in the United States, 1927-1934, New York, Norton, 2002. • Orozco, ¿pintor revolucionario?, México, UNAM-Instituto de Investigaciones Estéticas, 1995. • José Clemente Orozco (catálogo de la colección del Instituto Cultural Cabañas), Guadalajara, México, Instituto Cultural Cabañas, 1995. Reeditado parcialmente por el CNCA. • He obtained a "Licenciatura" in History at the Facultad de Filosofía y Letras of the Universidad Nacional Autónoma de México in 1989, with honors. He obtained a Ph.D. in Art History in 1998, with honors. • Researcher at the Museo Carrillo Gil from 1988 to 1989, and Curator for the collection from 1989 to 1992. 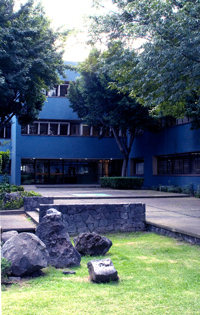 Full-time researcher at the Instituto de Investigaciones Estéticas of the Universidad Nacional Autónoma de México since 1992. Professor at the undergraduate program in History, since 1991, and at the graduate program in Art History, since 2000, Facultad de Filosofía y Letras of the Universidad Nacional Autónoma de México; professor. • Curator of the exhibition José Clemente Orozco in the United States, exhibited at the San Diego Museum of Art, the Hood Museum of Art at Dartmouth College, and the Museo Carrillo Gil, Mexico City (2002-2003). • Curator of the exhibition Los pinceles de la historia IV: la arqueología del régimen, México, Museo Nacional de Arte, september 2003-february 2004. • Diane H. Miliotes and Renato González Mello, eds., José Clemente Orozco in the United States, 1927-1934, New York, Norton, 2002. • José Clemente Orozco (catalogue of the collection of the Instituto Cultural Cabañas), Guadalajara, México, Instituto Cultural Cabañas, 1995. Born in Mexico, 1964, he has a PhD in Art History (UNAM, 1998). From 1989 to 1992 he acted as a curator for the collection of the Museo Carrillo Gil in Mexico City, which permitted him to specialize in the work of the Mexican muralist José Clemente Orozco. Currently a teacher and researcher at Mexico's National University, he was guest curator for the exhibition José Clemente Orozco in the United States, held at the Hood Museum of Art, Dartmouth College. In addition, his book La máquina de pintar: Rivera, Orozco y la invención de un lenguaje. He worked for an exhibition on political iconography, at the National Museum of Art, Mexico City, 2003.